‘Travel’ the word makes us feel the adrenaline gushing, isn’t it? The thought of exploring places can be an exciting experience. Do I see a crease on your forehead? Worried about how the change in routine will affect your food intake? The change in time zones can disturb diabetes management. 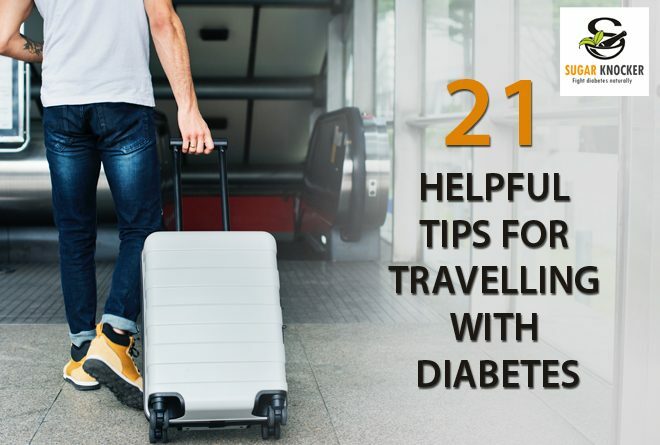 So here we get a few easy to follow tricks to maintain diabetes and also enjoy your travel. So plan a little beforehand to enjoy without hindrance. What activities are you planning to be involved in? Trek/Diving/Swimming? Prescription copy of medicines in case you need to purchase in unknown places. Take an extra month’s supply. Pack the medicines as they come in pharmacy bottles. You can even ask the pharmacist to attach extra labels to plastic bags. Get TSA notification card. The card will help you to go through the screening process with ease. The glucose monitor and insulin pump can get damaged while scanning through the x-ray machine. So you can ask for hand inspection of the devices. Make sure insulin and diabetes medicine are not stored in direct sunlight or in a hot car. Keep the medication in the cooler. Care to be taken, so insulin is not directly on the ice or a gel pack. Excessive heat can damage blood sugar monitor, insulin pump and other diabetes-related instruments. The instruments are not to be left in direct sunlight, hot car, pool or beach. The condition applies to the test strips as well. Avoid sitting in the same posture for long. Get up and move around in the passageway if you are in plane or train. In case you are driving, take a break. Set the alarms for medicine intake if you are one of the forgetful types or traveling in different time zones. As the temperature soars, there will be variation in insulin levels in the body. So you might need to test your insulin levels frequently and adjust with insulin dosage and food. Have wet wipes handy when you are outdoors. You need to clean your hands before checking the blood sugar levels. Traveling with Diabetes can be quite challenging but not impossible. Surely, we cannot let it tie us down to our homes, can we? Just plan ahead, relax and enjoy your vacation. Prev How Healthy Fats Affect Youths with Diabetes? Next Does Diabetes mean Die in Bits?